And I love doing it. I view programming as a creative exercise in problem solving. The process of designing solutions, figuring out the best possible implementation, and producing real-world results is truly exciting to me. Software Engineer @ Snap, Inc. 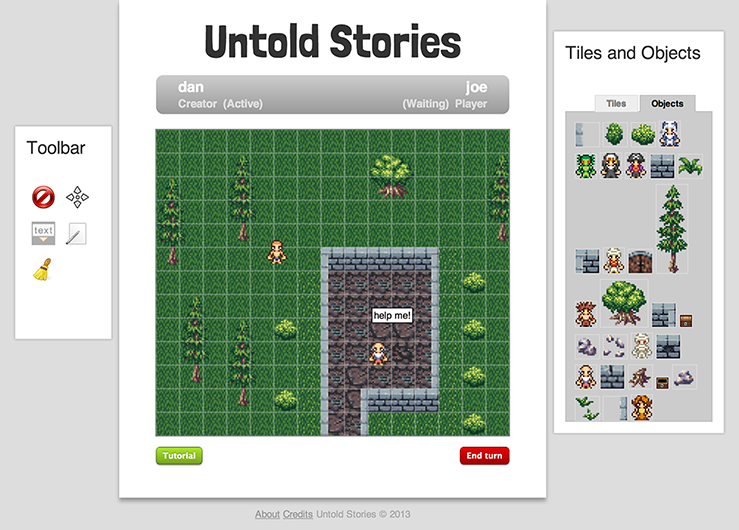 Organizer of the "web working group" at Snap, Inc.
Steven LeBoeuf | Co-founder & CEO @ Valencell, Inc.
Untold Stories is a multiplayer storytelling game built in HTML5 to run in your browser. The purpose of the game is to create an interesting and engaging story. Creator: By controlling the non-player characters, building the objects in the world, and determining the outcome of events, the creator is the primary storyteller. 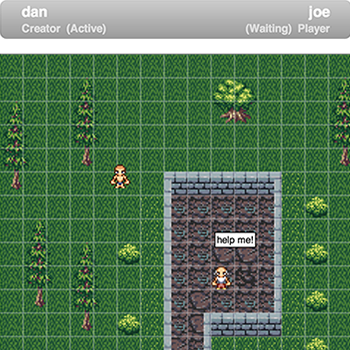 Player: The player controls the hero of the story, who exists in the world developed by the creator. The player explores and interacts with the world, just like a player of a typical video game. The real time communication between players is facilitated using a nodejs server, which relays messages via HTML5 websockets. 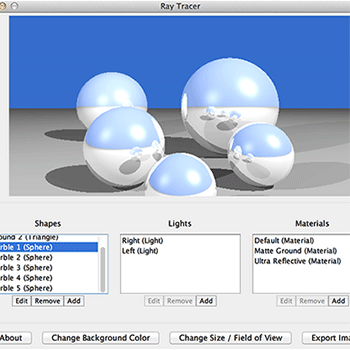 Ray tracer completely written in Java without the use of any additional libraries. Objects: Support for rendering spheres and triangles. 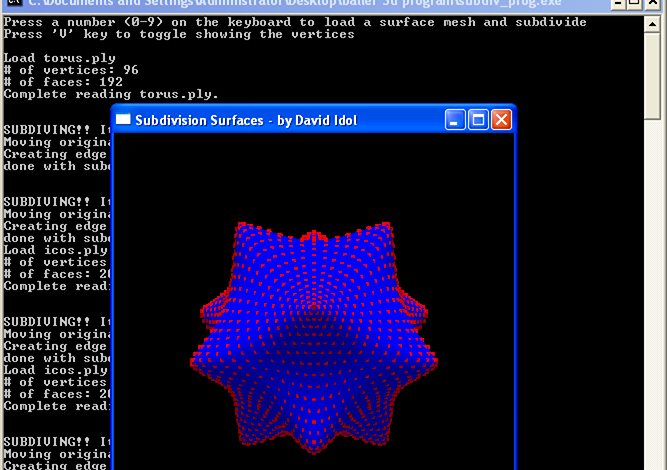 Objects can be named, sized, positioned in 3D space, and assigned a material. 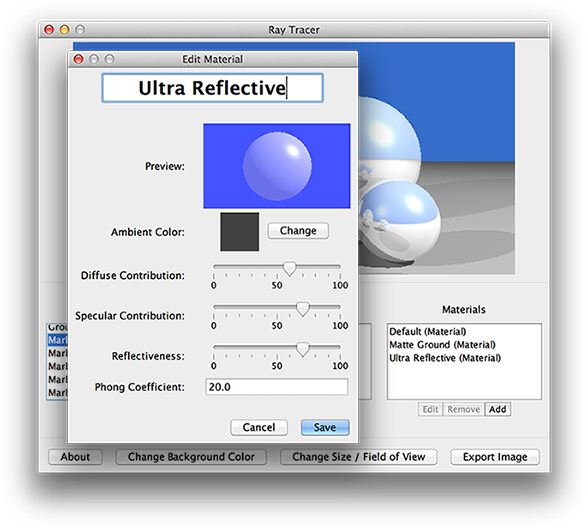 Materials: Comprehensive material editor and live-updating preview pane with support for reflections--including Phong, specular, and diffuse tweaking. Lights: Place ambient lights with varrying intensity and color. 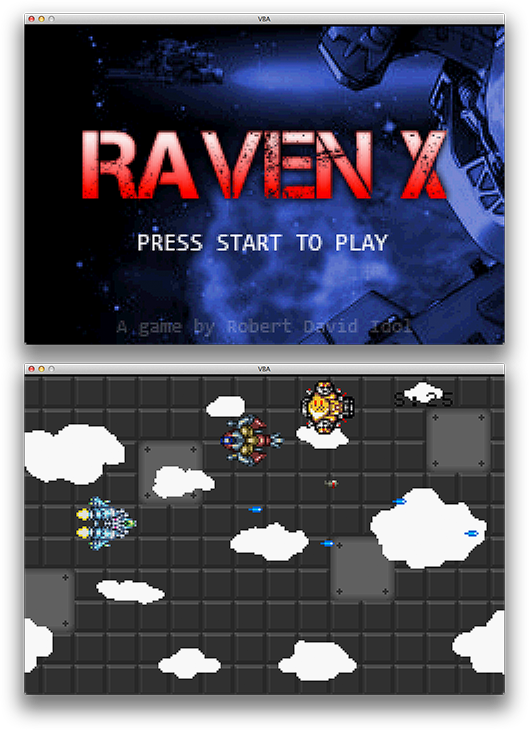 Raven X is a homebrew sidescrolling shooter game written entirely in C for the Gameboy Advance handheld gaming system with no additional libraries. I wrote this game for fun to become better with programming on devices. The TONC manual was used as a reference for interfacing with the GBA hardware. Download the ROM and play it in your favorite Gameboy Advance emulator. 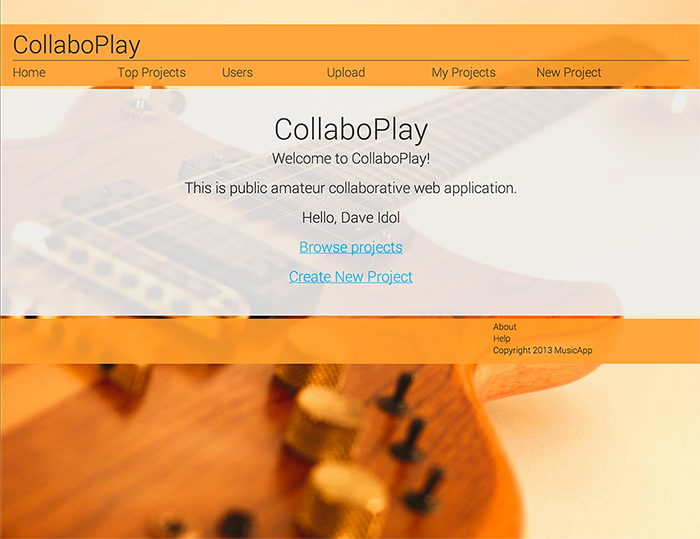 A tool created to allow musicians to work together in creating a music track. Multiple recordings can be uploaded and composited together and then played back in one stream, with the ability to enable or disable a specific track at any time. 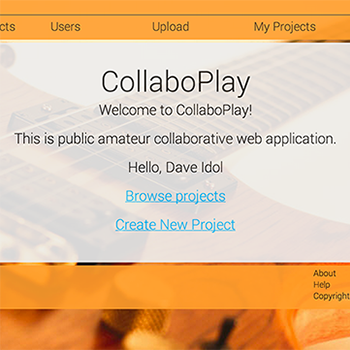 Because all tracks are public, songs can be "open sourced" to allow anyone to collaborate asynchronously and then vote on the combinations that end up producing the best final result. This application was developed for the UNC/Duke HackBlue hackathon. Sound Defender was created for the UNC Computer Science event Maze Day. During this event, blind and visually-impaired children come to the department and play student-developed video games. This is a great event, because there are virtually no video games designed for visually impaired individuals out there. 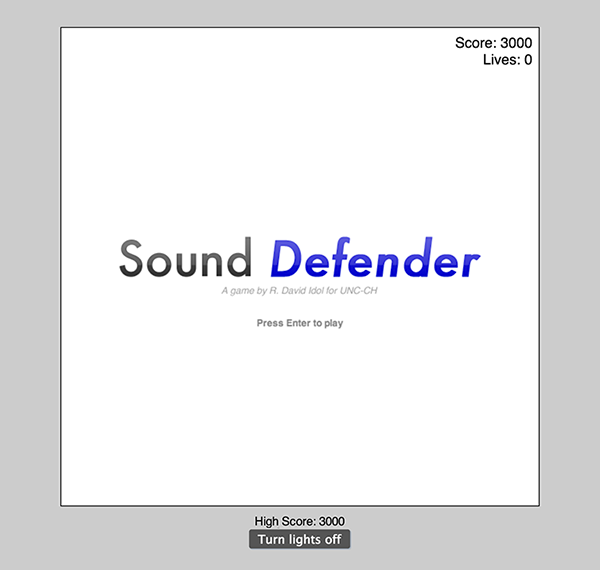 Sound Defender is a "tower defense game" of sorts in which the player must shoot at incoming enemies before they reach the player. 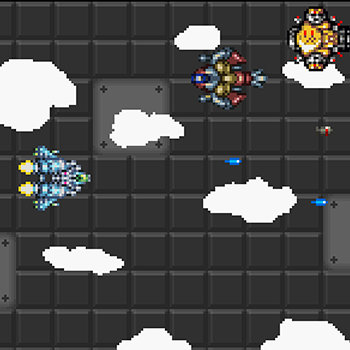 The game makes use of a spacial sound library to play sounds of incoming enemies relative to the player's current position. 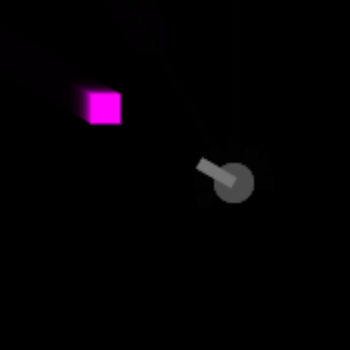 In this way the player must rotate the turret until aligned with the enemy (using only sound) before firing the laser. Although there is a visual component to the game, players can elect to "turn off the lights" (black out the screen) in order to level the playing field between sighted and blind players. There is a high scores table, which gets read aloud to the player at the end of the game (during Maze Day the high scores became quite competitive). 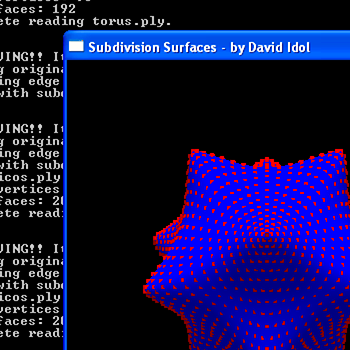 Demo app, written in C++, that reads and renders surface mesh files using OpenGL with the ability to "smooth" the surfaces using Loop's subdivision algorithm. 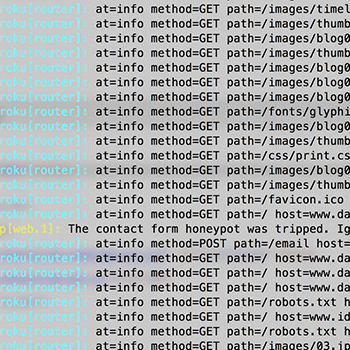 Stop spam from your website's contact form (with minimal user impact) by exploiting known characteristics of spambots.